I don’t know about you, but the thought of taking down and storing all of my holiday decorations can be daunting. Sometimes I feel like as soon as I get the house decorated exactly the way I want it, the New Year’s ball has dropped and its time to take everything down again. 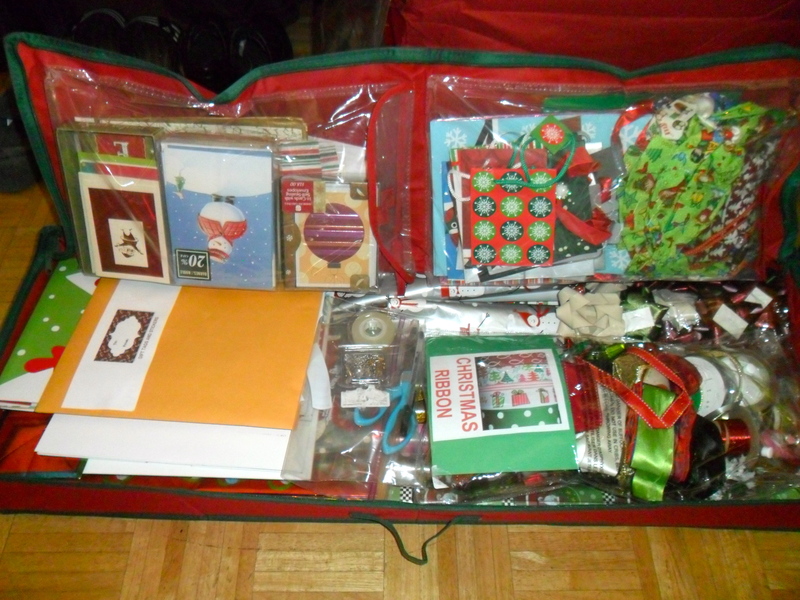 One thing I always try to keep as organized as possible is my Christmas wrapping materials. I don’t keep this in my usual “wrapping storage” area which is a drawer in a bureau in my living room. That drawer has gift bags and tissue paper readily available when I need to wrap something quickly. 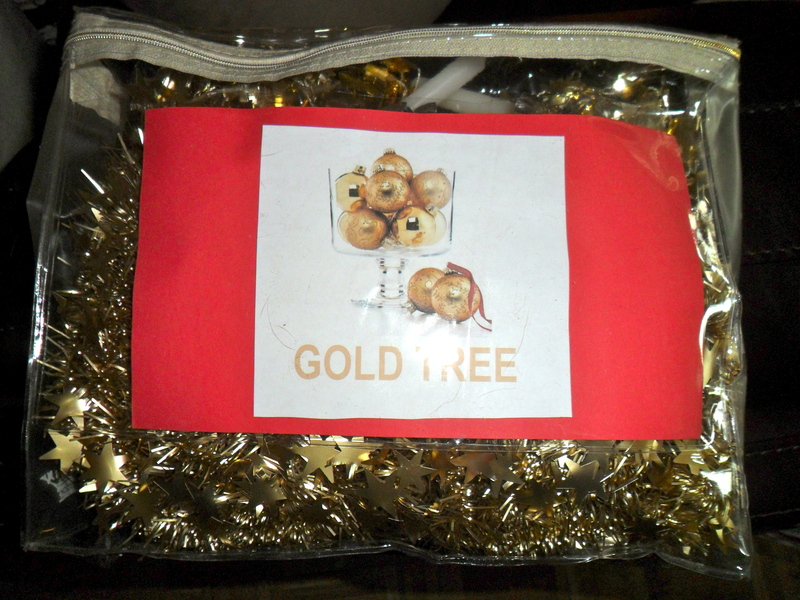 My Christmas wrapping materials get stored away during the year. I always buy wrapping paper the week after Christmas, when it is on sale, and then put it away for next year. I never remember what the paper looks like – and it’s a fun little surprise when I unpack it the next December. I always save the plastic wrap that pillowcases and sheets come in – they are perfect storage bags with built in zippers (see this post on how I used them when Olivia was a baby: Practical Packing 2.) I use many of them for my Christmas storage. 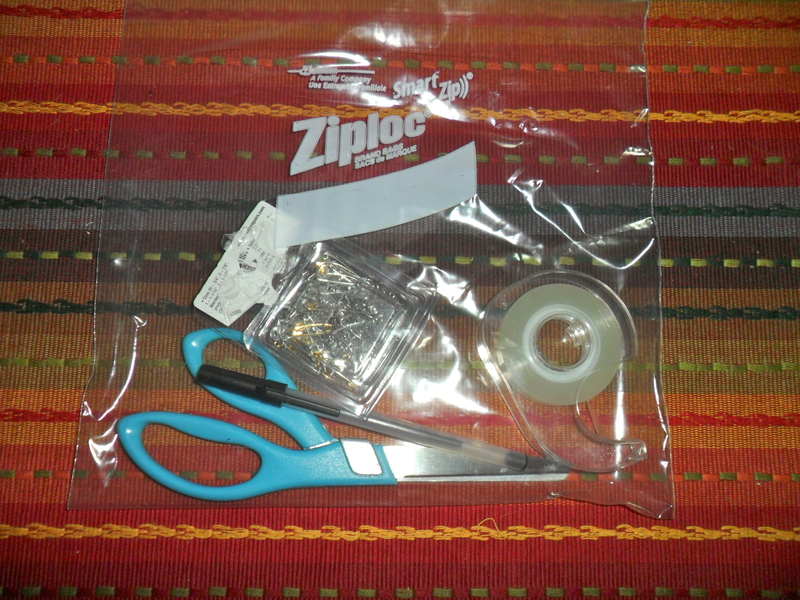 a ziplock of wrapping tools – scissors, tape, pen, safety pins (I use these to clip gift tags to cloth wrapping bags.) Not show – black, red and green sharpies. 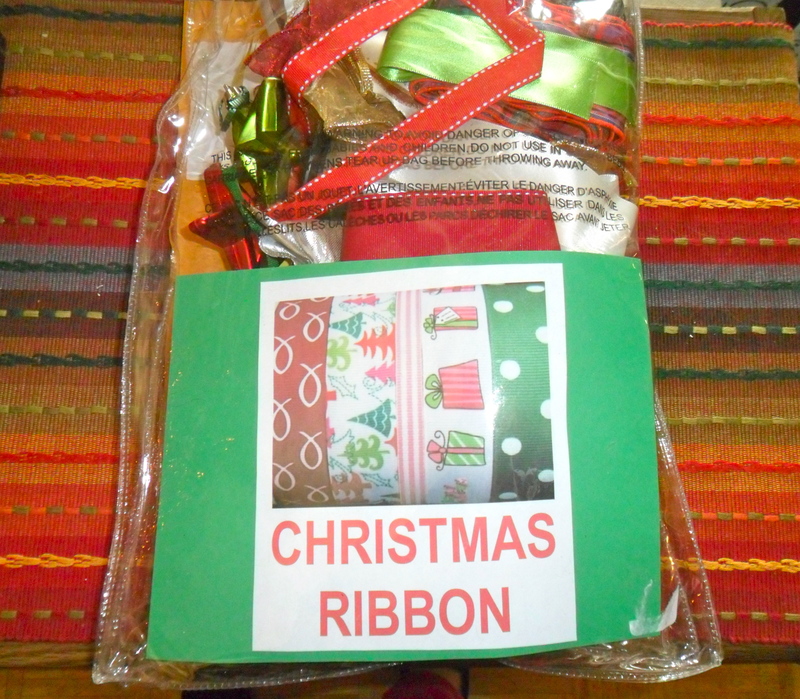 When you sit down to wrap – you won’t need to hunt these things down – they are all ready to go. While I am out shopping for next year’s wrapping paper (and this year – more trees! ), I inevitably see some gifts (usually at half price) that I pick up for someone for next year. Which leads us to my favorite storage bag! Unlike the other storage bags that get tucked away into the Christmas corner of the attic – this one stays in a large wicker bin in the closet on our second floor. All year long I add to it as I pick up items and gifts throughout the year for people. Right before Thanksgiving I do an inventory and what I have and what I still need to get. 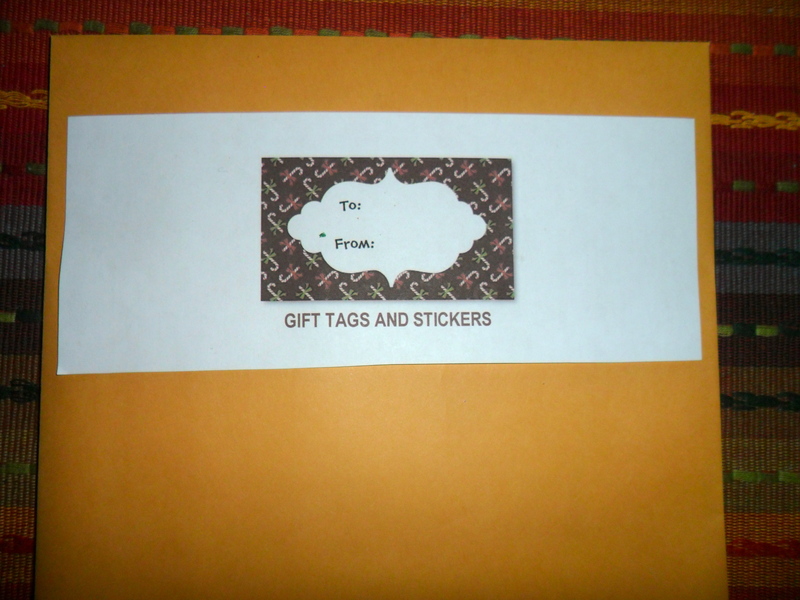 Remember last year when I challenged you to shop throughout the year and pay a Christmas envelope each month (Helpful Hump-Day Hints 12.26.12?) Did you do it? 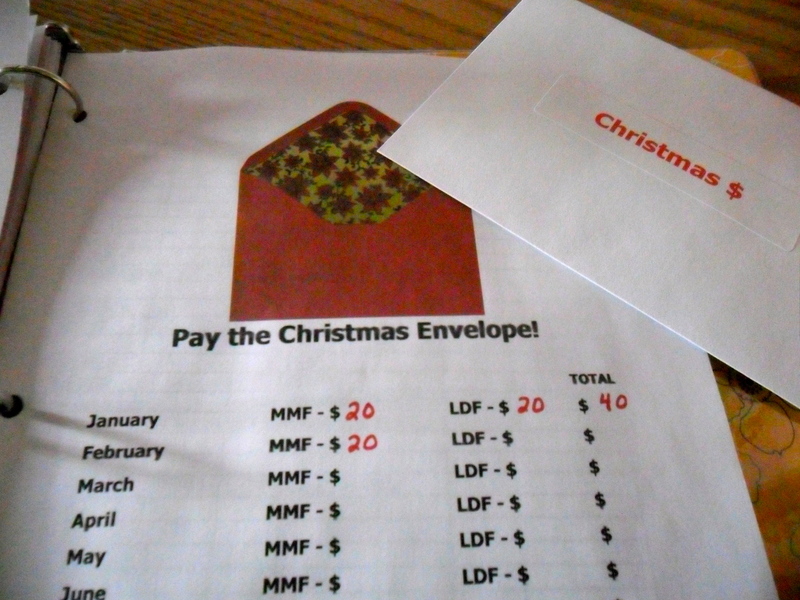 We paid our Christmas envelope $40 a month this year ($20 from me, $20 from my husband) so over 11 months that was $440 we had in cash to use at Christmas. Some things it paid for – stamps for Christmas cards, new lights we needed for our tree, and groceries for our holiday meals. I keep a record (shown below) with the envelope and keep it in our Home Organization Binder. That way it is visible all year and we won’t forget about it. Now that I’m in my new home and have a very large attic, I am experimenting on how / where I will store all my holiday china and serving dishes. I am tackling this project in the new year – and will report back! What are your tips for holiday storage and organization? Leave a comment and let me know – I love hearing how others create organizational systems. 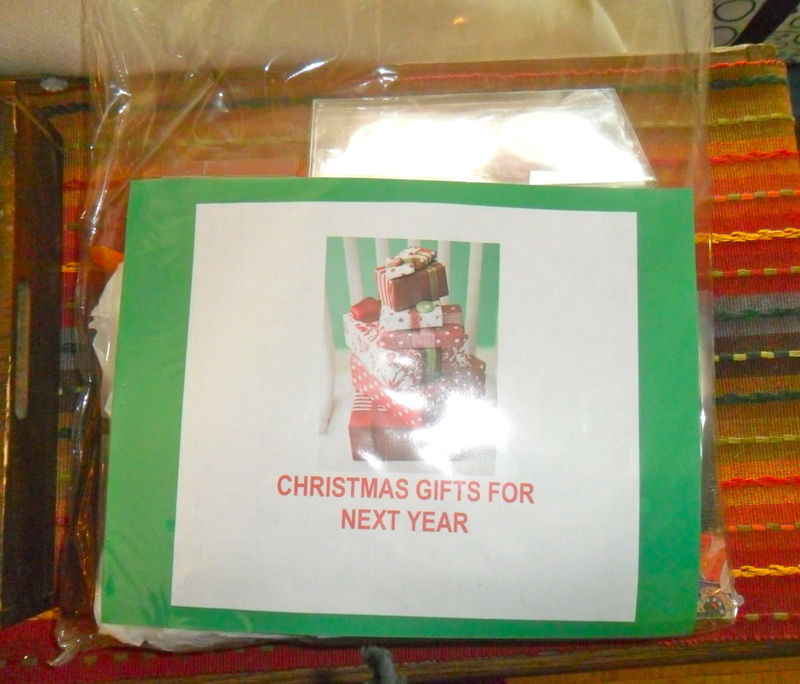 And let me know if you are going to start a Christmas envelope – trust me, in December 2014 – you’ll be glad you did! Happy New Year everyone – and thanks for reading. Just put my first $5 (each week it goes in) to our Christmas Envelope! Love this idea. I’m glad you are trying the Christmas envelope out! Keep it up!